Today was my 20th birthday! Three cheers for being a brand new decade! I started the day off right and did the Breakthrough Ribbon Run 5k race in Knoxville. 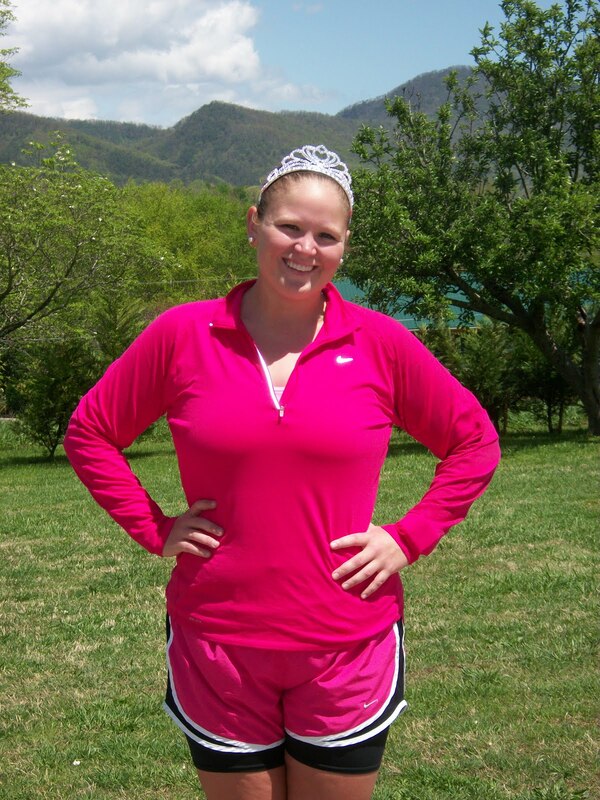 Outfit of choice was pink Norts, a pink top, and a princess tiara to celebrate my big day. I ended up clocking a time of 30:56 which was good enough for 6th place out of 13 in my age group. By the way, today was the first day of me being in the new 20-24 age group. So scary! After coming home, Yvonne and I walked around 5.5 miles on the bike trail. The wind was blowing really hard at us, so I like to think that we scorched double the calories. Yvonne’s treadmill recently broke, so hopefully she can go walking outside a lot more with me and leave the dreadmill behind. 🙂 Hope y’all have had a blessed day and I love being twenty! My birthday princess outfit. Love the tiara!